A couple of years ago I saw on a home improvement type show a bedroom makeover that implemented a birdhouse for a bedside table, and it's something I've wanted to do ever since. I think it would be a great idea for a children's bedroom. 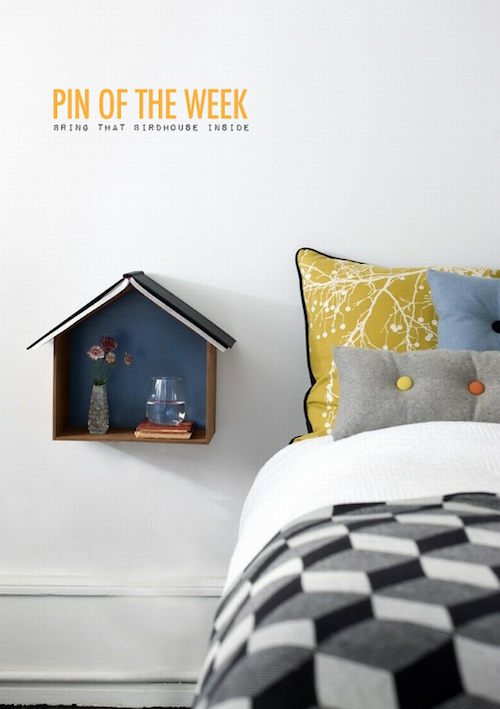 Especially lining the back of the birdhouse with bright & fun patterns to match the rest of your bedroom decor.